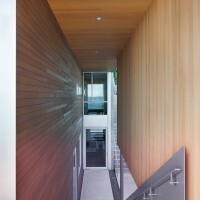 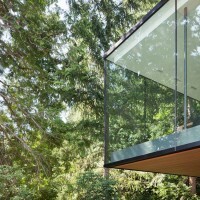 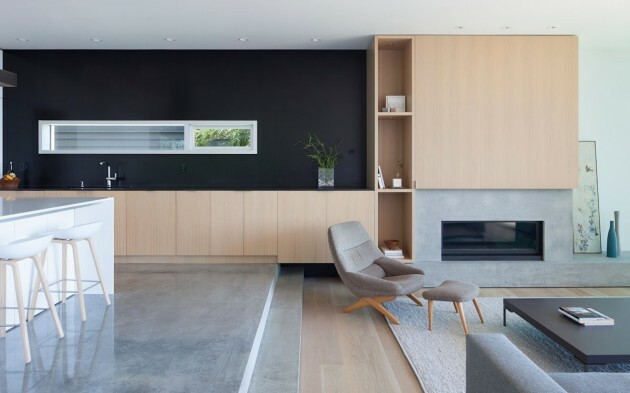 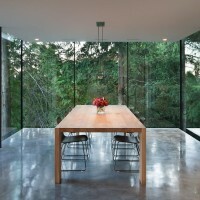 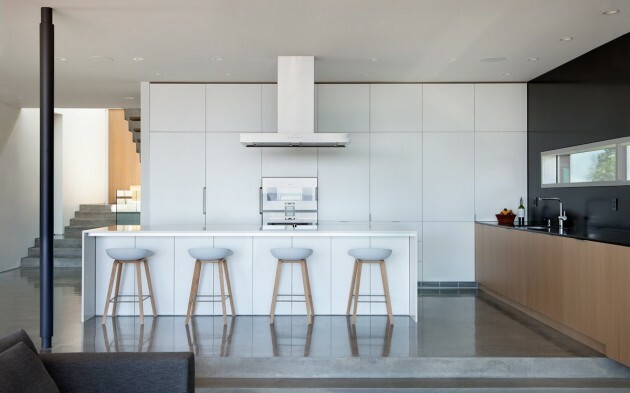 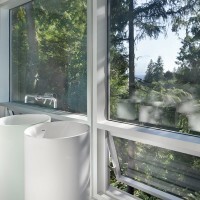 Splyce Design have completed the Russet Residence in West Vancouver, Canada. 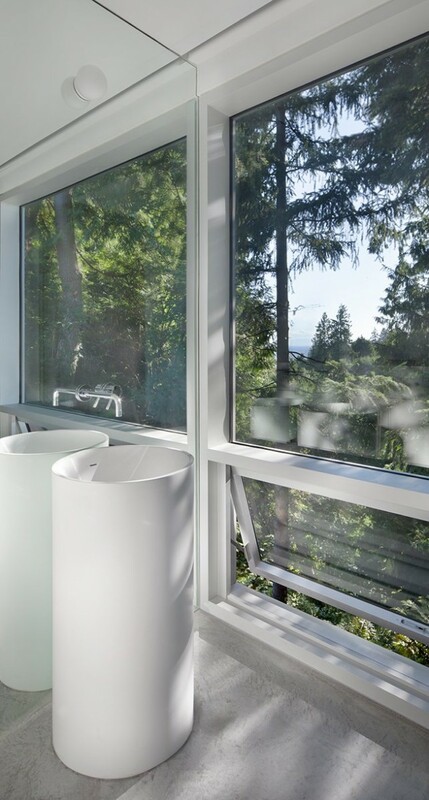 This project is located in West Vancouver on a steep site with mature cedar and Douglas fir to the west and an ocean view to the south. 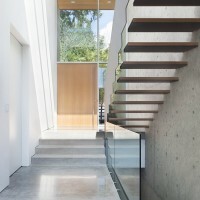 The house responds to these conditions by nestling itself into the hill while also projecting out over it to maximize views and connectivity to the landscape. 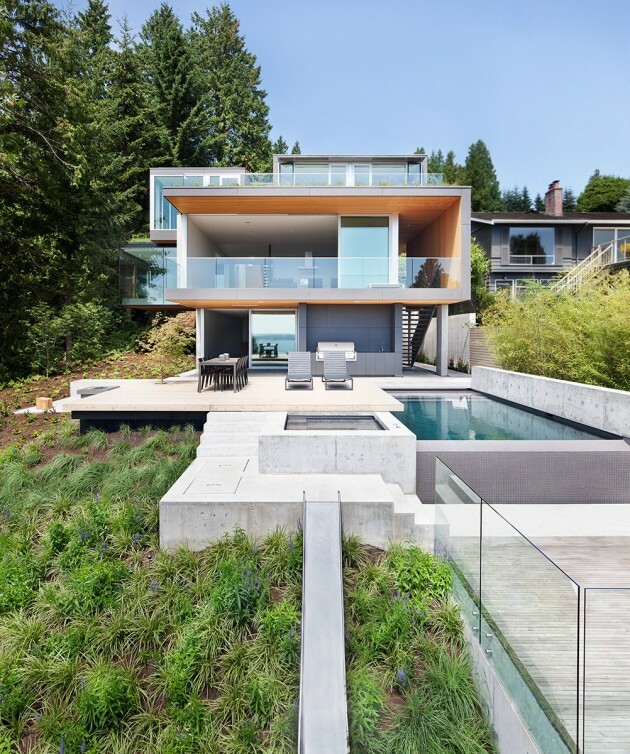 Due to its proximity to the rugged and sloping creekside bank to the west, the house was subject to strict environmental and geotechnical conditions, including a required setback from the top of the bank that pushed the building’s foundation eastwards. 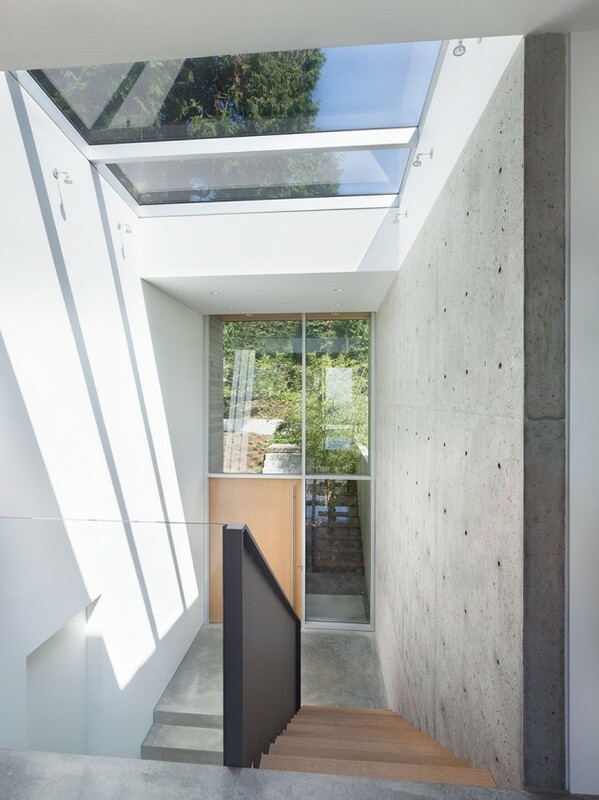 The resultant footprint was awkwardly narrow, so to gain back valuable space, a portion of the main and upper floor is cantilevered back out past the foundation, allowing the native creekside vegetation to grow up, under and around as an uninterrupted, wild, forest floor. 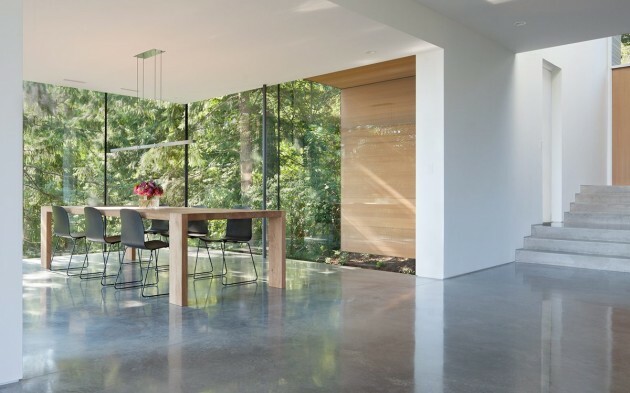 This reclamation of space is clearly pronounced in the dining room, where it projects fifteen feet out past the concrete foundation wall. 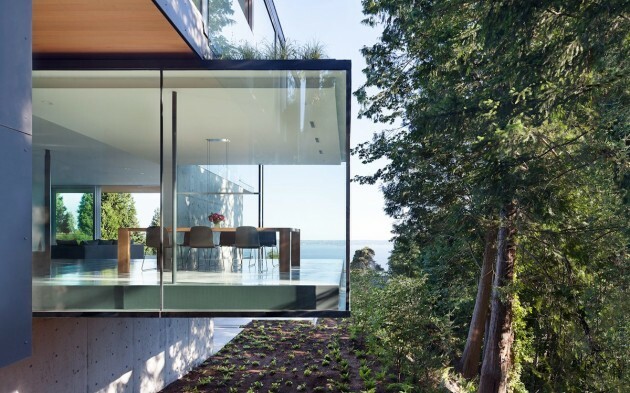 By eliminating window frames and extending the glazing panels on all three sides of the room, past the floor and ceiling planes, the space dissolves into the adjacent forest canopy and provides framed views though to the ocean beyond. 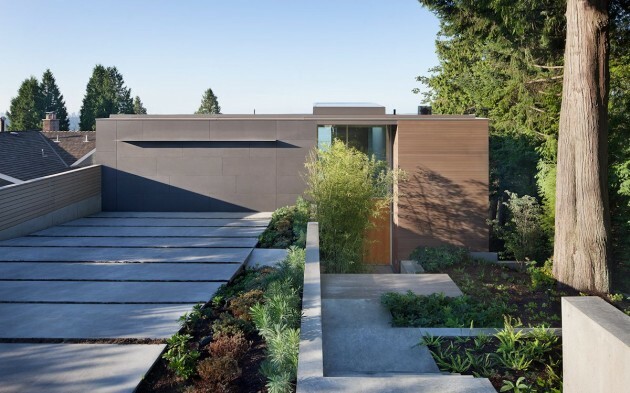 Tucked into the hill, the front of the house is deceptively modest in scale, set off by the large mature cedar that anchors the front yard. 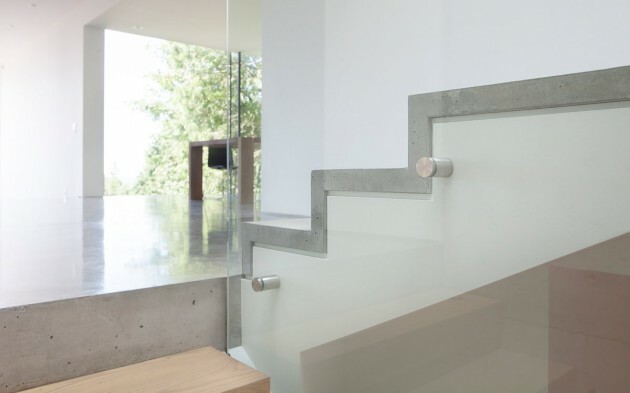 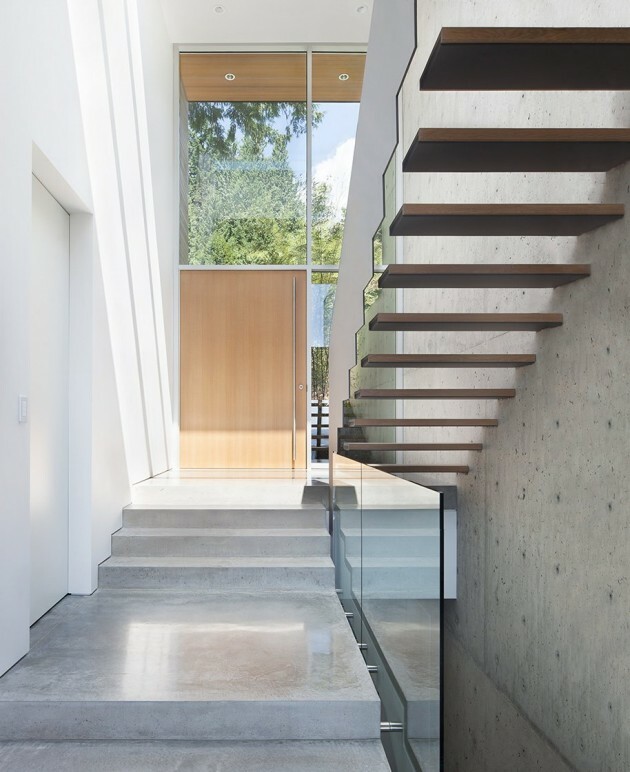 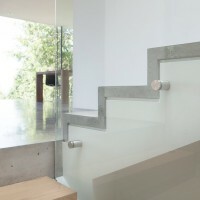 The topography of the site reveals itself as one descends the exterior stairs adjacent to the forest and follows the exposed concrete wall to the main entry. 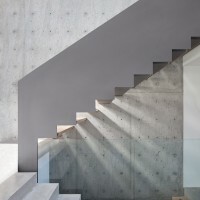 Continuing through to the interior, the wall rises up seventeen feet to help frame the bright circulation volume, with stairs leading to the upper floor and down to the main living spaces. 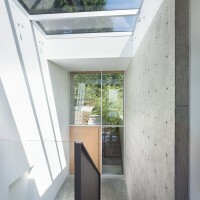 From this space, one gains an understanding and orientation of the home in relation to the site, its topography, and movement of the sun across the building by way of the wall-to-wall skylight above. 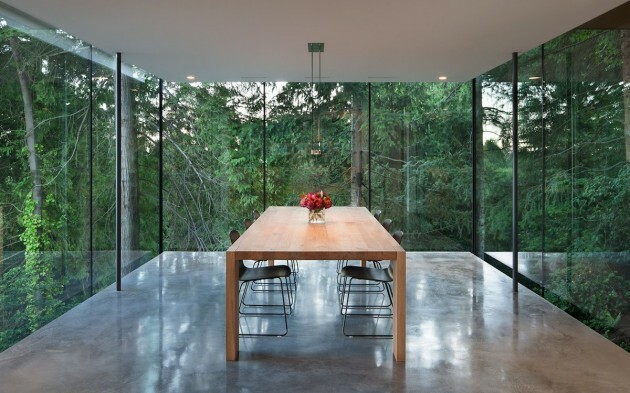 Subtle hints of views to the sky, ocean and forest are suggested from this vantage point but it’s not until one moves deeper into the house when they are fully revealed. 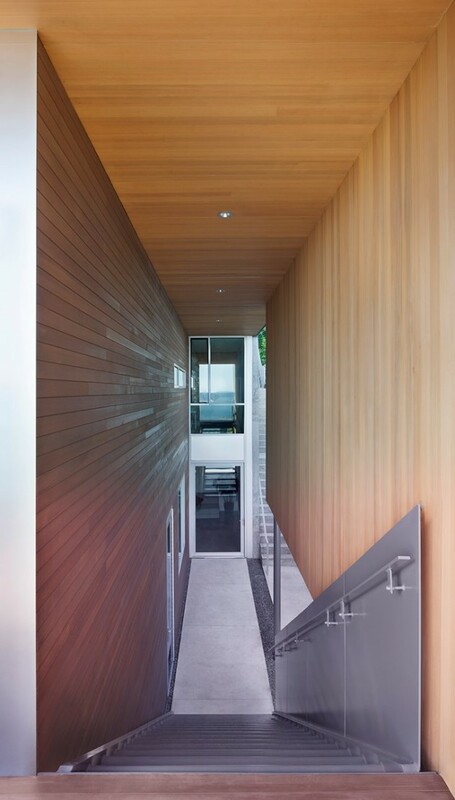 The overall porosity and openness of space lends itself to effective cross ventilation, while a balance of solidity and robust materiality and massing serve to anchor the house to the land.